"Britney Spears is threatening legal action against a Florida radio station that used a bald-headed photo of the pop star on billboards that appear to call her sanity into question." A billboard (actually, all three of them) for Nationwide Insurance. Life comes at you fast, huh. 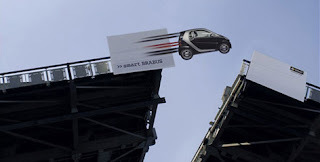 A billboard for Smart Brabus over a bridge in Rotterdam. A couple more pics at Advertka. 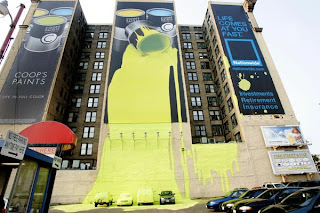 Billboardom: Awesome Billboards and Outdoor Advertising is collection of over 500 billboards, advertising signage, and other outdoor and ambient ads, published since 2005.